The Splendidly Imperfect Miss M! 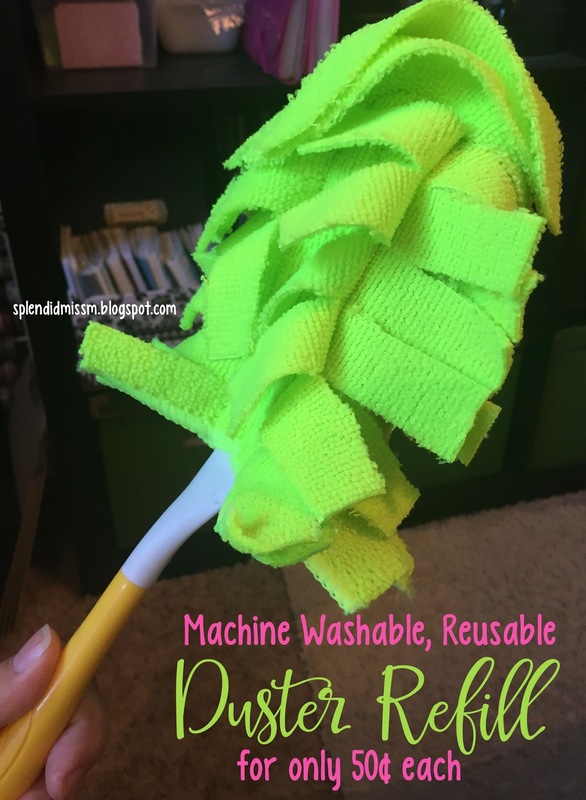 : DIY Eco-friendly Duster Refills for Only 50 Cents Each! DIY Eco-friendly Duster Refills for Only 50 Cents Each! The last year or so, I've been in a serious funk. I stopped doing a lot of the stuff I loved, had record amounts of insomnia, and totally backslid on all of my cooking and cleaning efforts, let alone cooking healthy and cleaning green. Didn't nobody have time for that! But I'm on a new medication, and it's a new year, and I can feel the fog lifting again. What I'm realizing? I am fat and my house is a MESS. Time to get back to business. First order of business - dusting. I have come to realize that if I don't dust, no one will. It's so freaking gross, you guys. Let's not forget to add in that I live in the desert, so things are naturally pretty dusty as it is. You add in only the most basic of housecleaning for almost a year and well... it's nasty. I'm just keeping it real here. I personally have a teensy Swiffer Duster addiction. The problem is, when your house is really dusty, you go through them pretty fast. They are not cheap, and they definitely are not good for the environment. I needed to come up with an alternative, and fast! 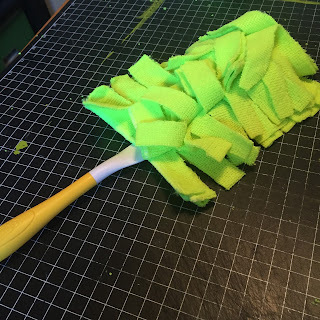 I know that a lot of people swear by feather dusters, but I've tried several different kinds and just don't care for them. I prefer knowing I'm tossing out the dust when I'm done cleaning. Sure I could use a cleaning rag, but then I have to actually touch the dirt (ick, gag) more than I'd like. 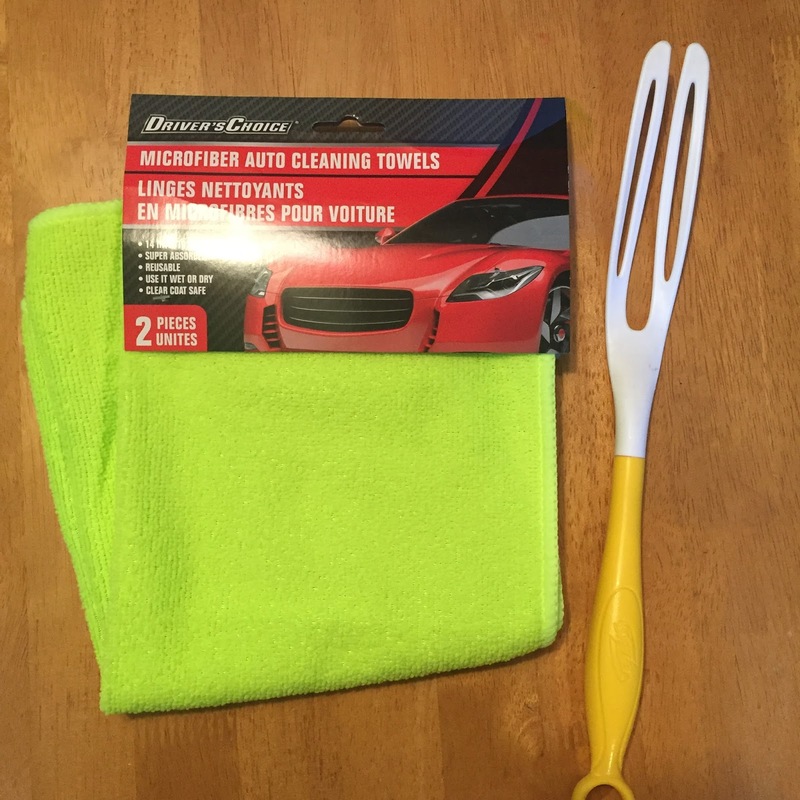 I picked up some microfiber cleaning towels in the automotive section of my local Dollar Tree. They are a pretty good size, and you get two to a package. They came in neon green and blue. I opted for the more obnoxious color, seeing as that's how I roll. You're also going to need the handle from your Swiffer Duster. 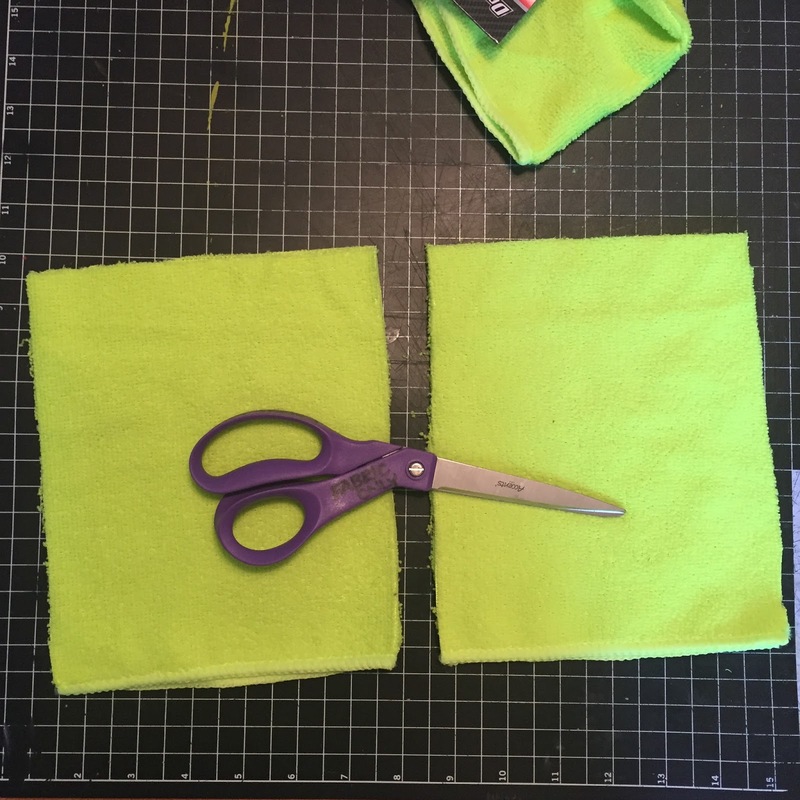 Take one of the towels and cut it into quarters, keeping the finished seams on the bottom. 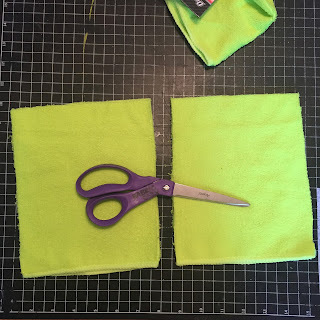 Cut the finished seams from the sides, but leave the one at the bottom. 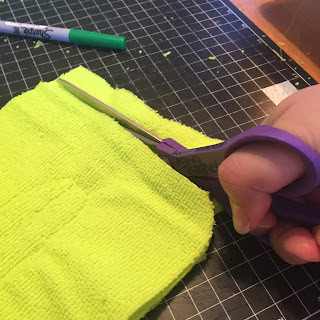 That will make it easier to put the finished duster on the handle. Stack all of the pieces together. 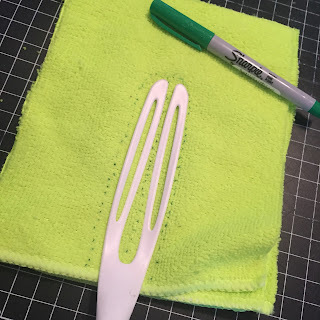 Lay the handle in the middle of the stacked and with a fine tipped marker (I used a green Sharpie to coordinate with my cloths) make a dotted line around the handle. Pin the layers together. 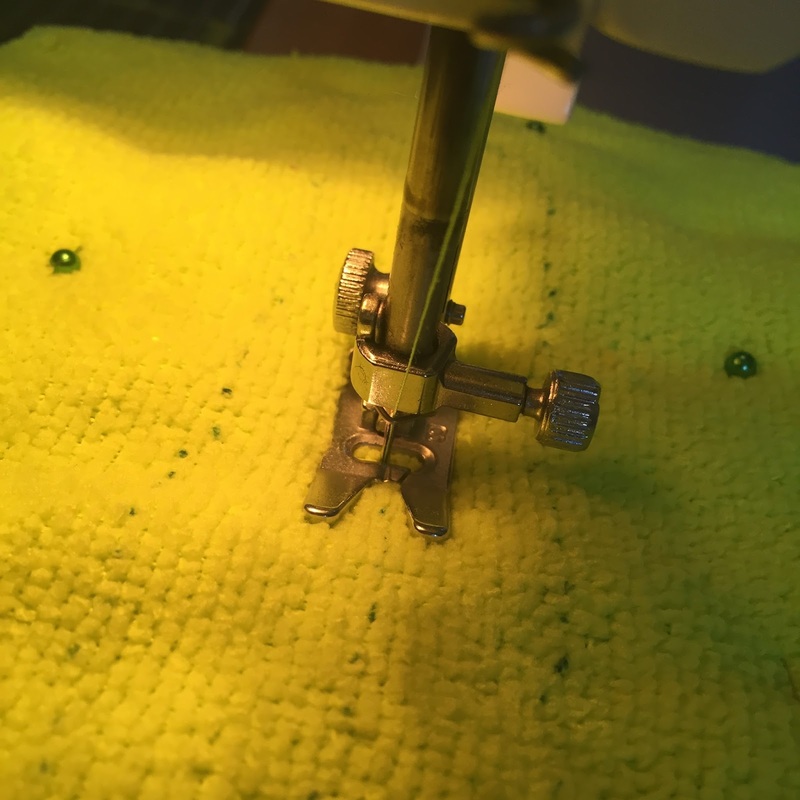 Starting at the top of the "u" shape, stitch straight down the center line. Be sure to backstitch at the beginning and end to secure. Then, sew the "u" shape, also being sure to backstitch at the beginning and end. Pull out your pins and even up the sides. I trimmed about an inch off the end and rounded the corners too. 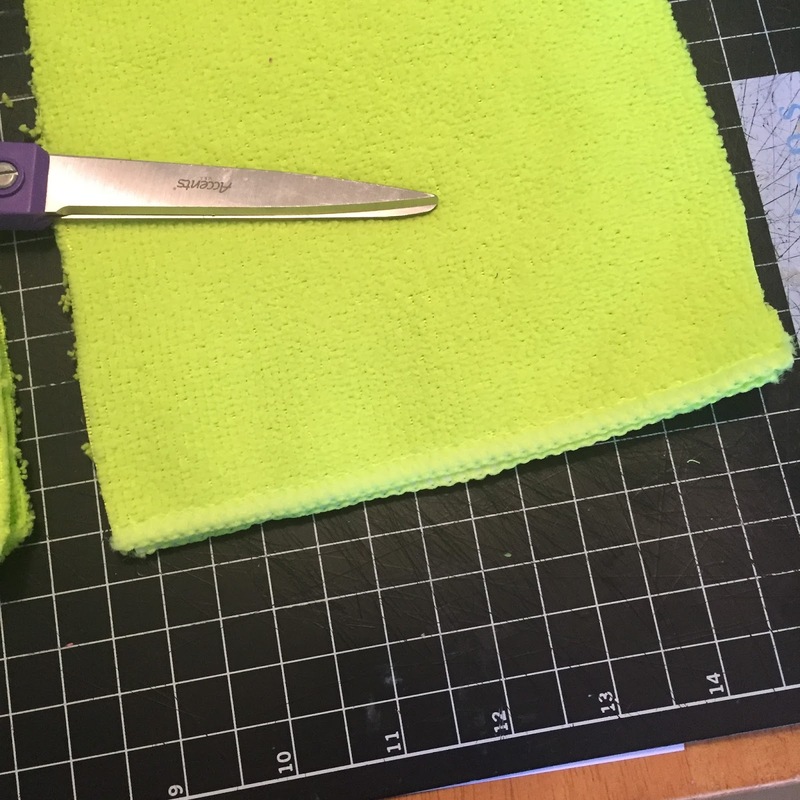 Make cuts along the sides, about 3/4" apart and stopping 1/2" from your stitching. 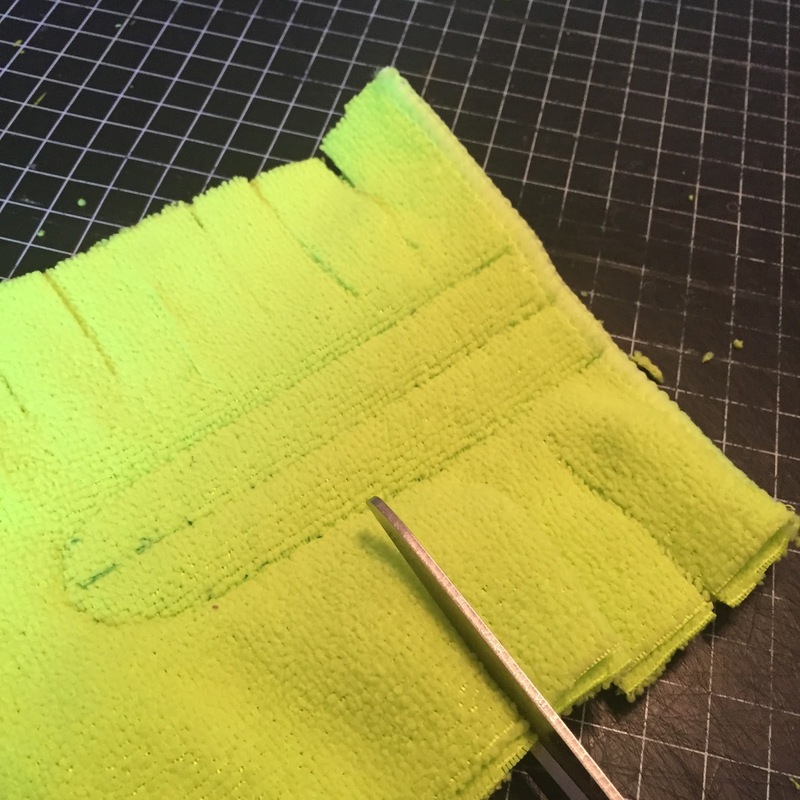 Slide the handle into the layers and give it a good shake to separate the layers. I'm going to warn you though - this step is MESSY. You will have little balls of whatever color you chose fluff all over the place! But think of how much money you're going to save on refills, and how many little fluffy bits of paper and fibers you're going to keep out of the landfill, and give yourself a pat on the back. These took about five minutes each, from start to finish, and I made six, for a grand total of $3.00 and some thread. Not too shabby!